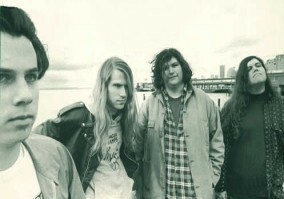 Ladies and gentleman, I now present you with a really cool/high quality recording of the Screaming Trees playing in Olympia in 1997. I'm not sure who to credit since this has been floating around various places for a while, but anyways, enjoy! (I would post this.) But seriously, I have a ton of Mark Lanegan/Screaming Trees recordings so if you have any requests, request away and I'll do my best to make it happen. DL: "Screaming Trees Live in Olympia '97"
The band was so good during this era its a shame they broke up. Thanks for the post.